In today’s violent conflicts, civilians have increasingly become deliberate targets of war. One of the most devastating forms of violence waged against civilians is conflict-related sexual violence. It is used as a tactic of war to terrorize communities, displace populations, deter opposition movements, affect reproduction and ethnicity, and undermine community cohesion. Highly effective, its use traumatizes, humiliates and instils fear in communities, breaking identities, causing lifelong health impacts and creating enduring ethnic, family and community divides. Conflict-related sexual violence is as old as war itself. It has been used as a method of warfare in conflicts ranging from World War II to Bosnia, the Democratic Republic of Congo to Colombia, Myanmar to the Syrian Arab Republic – affecting women, men and children alike. Depending on the circumstances of an offense, conflict-related sexual violence can constitute a war crime, crime against humanity, act of torture, or constituent act of genocide, under the Rome Statute of the International Criminal Court. The Security Council considers sexual violence, when used as a method or tactic of conflict, a threat to international security and an impediment to peace. If left unaddressed, such violence can be used to wage acts of war outside the purview of ceasefire and peace agreements. This can trigger cycles of vengeance and vigilantism that risk undermining the mediation process and potential agreements. 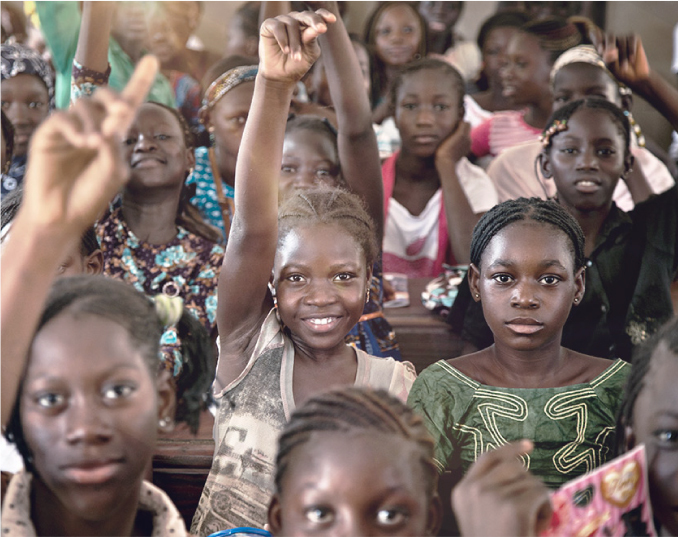 The United Nations requires its mediators to address conflict-related sexual violence. 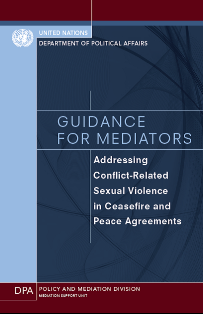 To this end, in 2012, the Mediation Support Unit, in the Policy and Mediation Division of the Department of Political Affairs (DPA) issued Guidance for Mediators: Addressing Conflict-Related Sexual Violence in Ceasefire and Peace Agreements. Key principles include an obligation to engage parties in discussing the issue and to work towards firm commitments to cease all acts of conflict-related sexual violence. The guidelines also require that conflict-related sexual violence be included in the definition of acts covered by a ceasefire, be monitored alongside other potential violations of ceasefires, and are excluded from amnesty provisions. A December 2012 country-wide offensive, launched by factions of Central African armed groups under the rebel coalition "Seleka", was eventually halted through the initiation of dialogue in Libreville, Gabon, and a signed Ceasefire Agreement and Declaration of Principles. Require the immediate halt of sexual violence by the conflicting parties. Make sexual violence a prohibited act in the definition of ceasefire. Require that sexual violence is addressed in a programme of urgent priority agreed to by the parties for the consolidation of peace.